In 1910 a young Rumanian by the name of Henri Marie Coandă﻿ built what some would consider the world’s first modern jet aircraft. It was not a turbojet by any means, but could be considered a motor-jet in that the turbine was driven by a conventional piston-engine. Mr. Coandă﻿﻿ termed his engine a "Coandă﻿﻿ Air Reactive Unit" (Coandă﻿﻿ Turbo-Propulseur) coupled with a Clerget piston-engine. 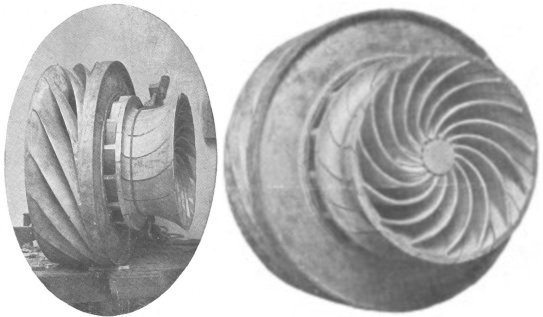 Some used the term "Thermopropulsion Unit" and in Popular Mechanics of March 1911 it was called a "Suction Turbine" because of the air intake method. Presented at the Paris International Aeronautic Salon in 1910 the aircraft has caused considerable debate since. The first dispute was which nation should get credit for the Coandă﻿﻿. 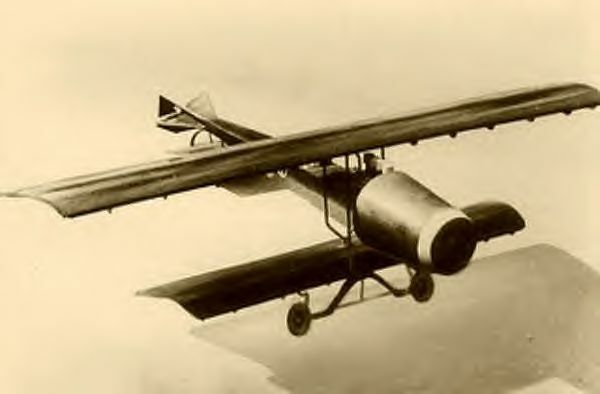 In many books it was attributed to France, however, recent information has shown that Count Caproni of Italy helped in engine research as well as financing. The engine was apparently bench-tested in Taliedo, Italy, a suburb of Milan, before being attached to the airframe and sent by train to Paris. Later Mr. Coandă﻿﻿ and Count Caproni would be in a legal dispute when the Campini-Caproni N.1 took to the air in 1940 because Mr. Coandă﻿﻿ alledged that the Count’s engine was merely a variation of the original Coandă﻿﻿ Air Reactive Unit. The courts sided with Count Caproni. The second dispute was whether the aircraft flew at all. It was said to have been secretly test flown by Mr. Coandă﻿﻿ in Taliedo, Italy. The next flight was by accident, as supposedly stated by Mr. Coandă﻿﻿, at the Paris International Aeronautic Salon. Sources as far back as the late 1950s do confirm that Mr. Coandă﻿﻿ did say that the aircraft flew a short distance, threw him clear, then burned up. 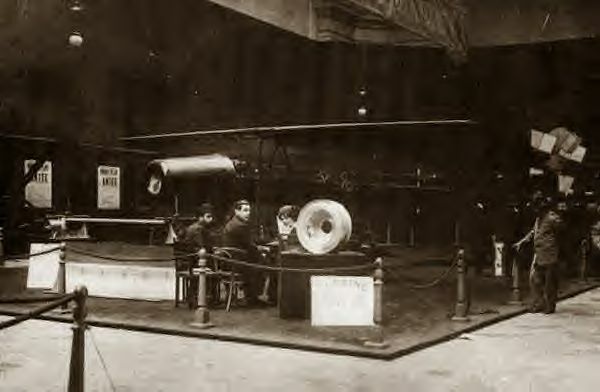 However, the photograph in the March 1911 issue of Popular Mechanics is dated after the Paris Air Show had concluded which means that the aircraft still existed. 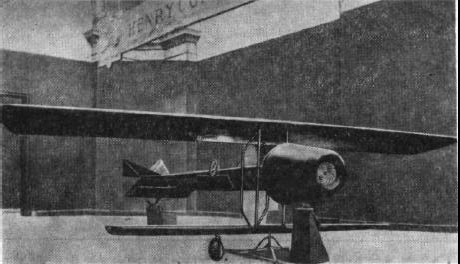 One source, Flight Magazine, 29 October 1910, states that the Coandă﻿﻿ 1910 had been purchased by a Mr. Weymann. While this would prove the aircraft had not crashed, it could also mean that it may be sitting somewhere in a barn or outbuilding long forgotten and waiting to be discovered like the Bugatti Model 100 racer recently was! Most sources disputing any flight of the Coandă﻿﻿ 1910 are British and this has caused some ill feelings on the part of Rumania. While some British sources do cast a large shadow of doubt on the aircraft, others in France, Italy and Rumania support the statements of Mr. Coandă﻿﻿ and Count Caproni. In the ranking of nations to fly jets if Rumania was not first, then Germany would be with the Heinkel He-178. Even if this is so then Italy would still be the second nation with the Campini-Caproni N.1 (Delta2 and Valom 1/72) followed by the United Kingdom With the Gloster E.28/39 Squirt. 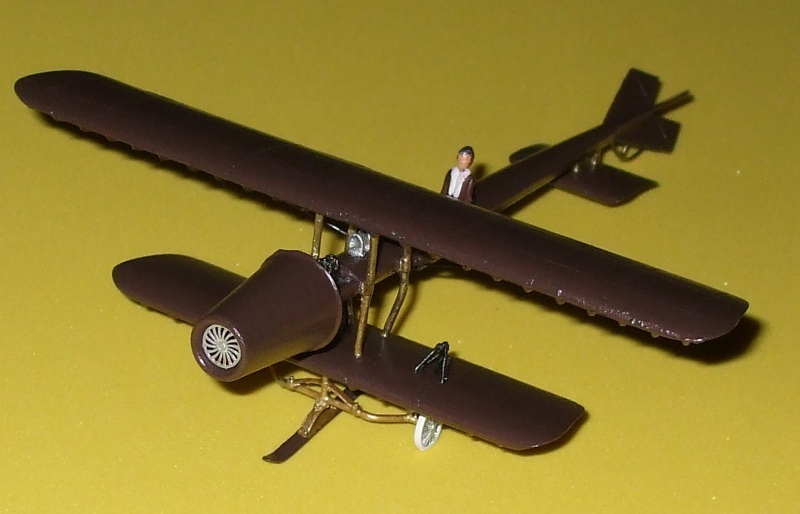 (Airfix, Pavla, and Frog 1/72) .When the flights are redefined to strictly turbojet, then the U.K. Is second. However, if we look at the order by the build dates, then France would be the second with the Payen-Melot Pa-22/1R Flechair "Arrow" (Unicraft 1/72) followed by Germany, Italy and the United Kingdom. The Payen-Melot was built, but could not generate enough power to get off of the ground. No doubt that no matter how this article is written, some will support it while others will disagree. That is ok. Our main point is the kit! So here is IRMA Kit No.3! As you can see the aircraft consists of two wings, a large upper-wing over a smaller lower-wing. Note that there are no modern control surfaces? That is because on the first aircraft a technique called "wing-warping" was used. 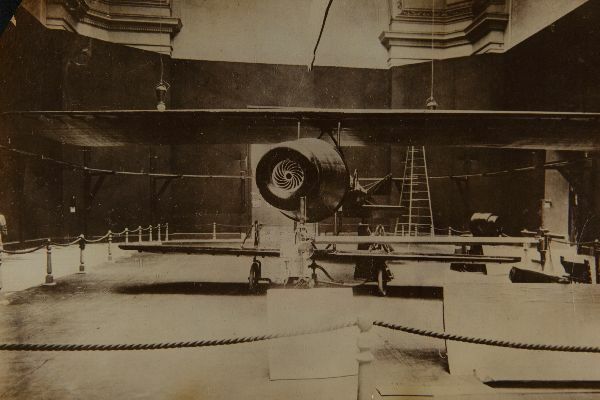 The wheels on either side of the cockpit were used to litterally bend the wings up and down, backward and forward, to steer the aircrft in the direction desired through a series of cables, wires and braces. This is one reason why the first aircraft were mostly wood and in most cases flexible. 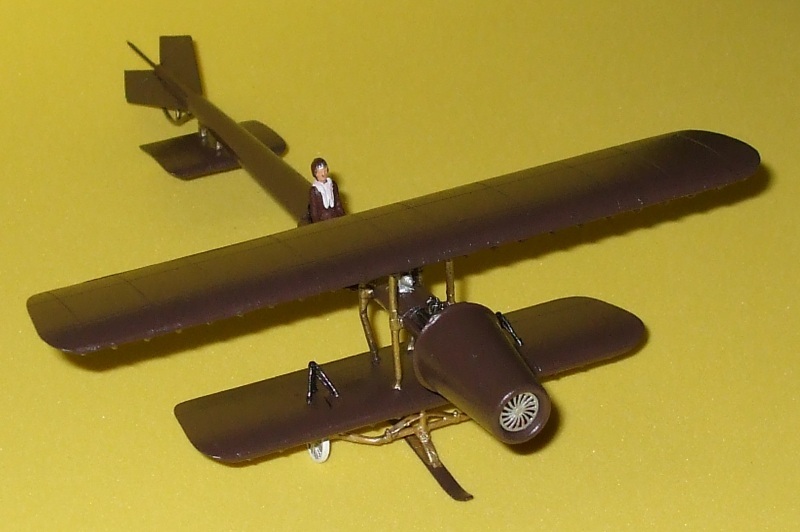 Another unusual feature for theCoandă﻿﻿ 1910 is the tail-wing being braced separately from the fuselage. Mr. Coandă﻿﻿ may have felt this lent to a more aerodynamic airframe. Yet another unusual feature is the arrangement of the four diagonally-opposed tail fins. Only the very ends were movable and were ahead of their time in that later jets would, in come cases, use tailess or "V" type tail configurations. With a minimal amount of struts, braces, wires and cables, the Coandă﻿﻿ 1910 was a very elegant aircraft, especially for the beginning of the air age. It would be twenty-five years before the next jet-plane would be attempted with the Payen-Melot Pa-22/1R of 1935. There would be another attempt by Count Caproni in 1932 with his Stipa-Caproni which was actually a ducted-fan driven by a de Havilland Gipsy III Venturi piston-engine. Overall the Coandă﻿﻿ 1910 was a dark wood color with metal fixtures. The fixtures could be aluminum, brass, steel, or a dull version of any of these. There was not too much color variation so most likely any paint scheme could be based on the 1/1 scale replica at the Coandă﻿﻿ Airport in Romania. Also, it is most likely that the tires were white since cobalt black was not added to rubber in a standard format until after 1913 to make tires stronger. 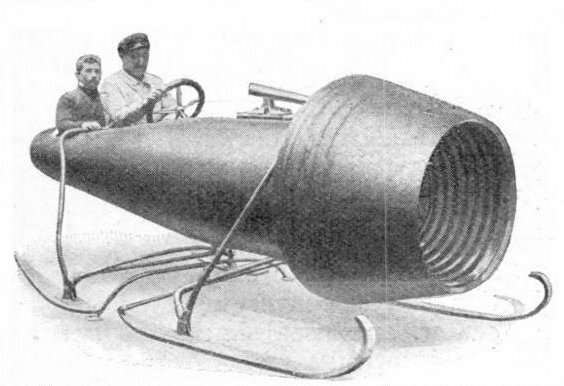 An additional use was found for the Coandă﻿﻿ turbo-propulseur in the form of driving a snow-sled which the Grand Duke, Cyril Vladimirovich, of the Russian Empire found useful. It also brought additional publicity for Henri Coandă﻿﻿ which he utlized to fund further research into his motorjets. Another famous invention of Henri Coandă﻿﻿ was the Aerodina Lenticulara which was a circular, hovercraft resembling a flying saucer. If flew on the "Coandă﻿﻿ Effect" which is the attraction of a fluid jet to the nearest surface producing a thrust as it discharges. Mr. Coandă﻿﻿ patented this method of propulsion in 1935. It was later used in the Avro Canada Avrocar which rode on a cushion of forced air. 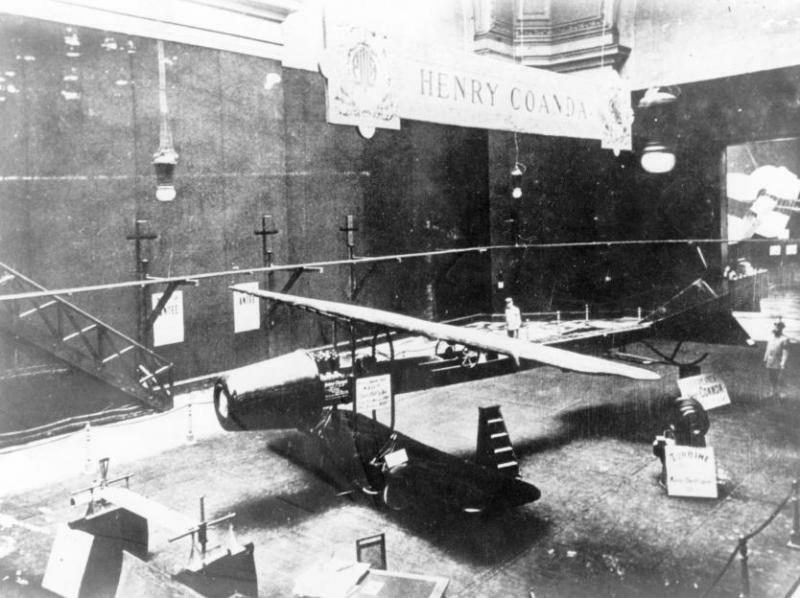 Henri Coandă﻿﻿ would go on to work for the Bristol Aircraft Company in the United Kingdom, Delunay-Bellevill in France and eventually return to Rumania to direct the Institute for Scientific and Technical Creation and establish the Department of Aeronautical Engineering of the Polytechnic University of Bucharest. Mr. Coandă﻿﻿ died in 1972 at 86. Definitely a man of vision and decades ahead of his time. "Suction Turbines Serve As Air Propellors," Popular Mechanics, March 1911. "Impressions of the Paris Air Show," by Oiseau, Flight, October 29, 1910. Pioneer Aircraft: 1903-1914, by Kenneth Munson, Blanford Press, 1969. World Encyclopedia of Civil Aircraft, by Enzo Angelucci, Crown Publishers, Inc., 1982. The International Encyclopedia of Aviation, by David Mondey, Crown Publishers, Inc., 1977.